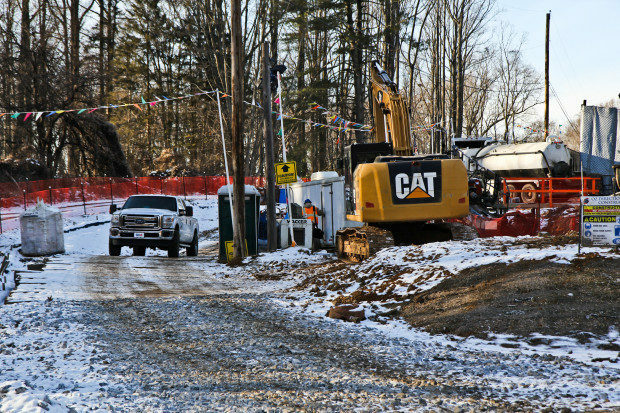 A Mariner East 2 construction site is shown in Edgemont Township, Delaware County. Officials say the company will pay to clean up environmental violations in addition to a $12.6 million fine. The $12.6 million penalty being paid by Sunoco for multiple violations during construction of the Mariner East 2 pipelines will be used to improve water quality and the safety of dams across Pennsylvania, and will be in addition to the company’s work to correct environmental damage caused during the project, current and former state officials said. The Department of Environmental Protection’s penalty for dozens of permit violations over the last year was among the largest ever handed out by the agency, and was the price demanded by the state for its permission to resume construction after a month-long state-ordered shutdown.